Chris Duggleby‘s JointVentureRisk site is a ‘living’ free-of-charge virtual publication. It is regularly updated and improved. If you are interested in this subject please save this site link and visit again. Each of these risk areas will be considered in more detail in the sections below. A separate section of the JointVentureRisk.com site deals exclusively with the area of risks related to HSE (see JV HSE section). In addition to this information it is important that the HSE responsible managers in the JV are trained in and understand the locally applicable HSE laws and regulations. These rules can vary from region to region and therefore local knowledge is essential to avoid the risk of transgressions. One approach for a manager to take (either as part of, or overseeing an investment in, a JV) is to use the HSE risk check-list provided the JV HSE section of this site. Use this list to determine which risks are applicable to the JV and then, with a suitable legal expert, determine which laws and regulations relate to the applicable risks. The JV should develop a handbook of relevant HSE Laws and Regulations to enable quick access to relevant information by those involved in its operations. These areas can be audited as part of the regular shareholder audits in the JV. As with many risk areas described here the subject of competition law compliance can be viewed from the perspective of either being ‘inside the JV‘ or as a partner who has a stake in the JV. The latter perspective is particularly important where the businesses of the partner and the JV overlap, for example when they compete in the same markets. Where there is a potential for the JV and its partner to be competitors they need to take legal advice with regard to what information can and cannot be shared. For example there may be a risk that the JV passes ‘competition sensitive‘ information to its shareholder through the reports produced for the Board of Directors or shareholder meetings. Such reports might contain information about prices, stocks, production costs or customers – any of which might help a competitor to reduce the amount of ‘uncertainty’ in their knowledge of the market in which they also compete. As a result such sharing of information could be viewed as ‘anticompetitive‘ by the relevant competition/antitrust authorities. The exact legal jurisdiction under which competition issues should be considered depends upon where the JV and its partner’s markets are located. The legal review may need to be considered from a national perpsective (e.g. under China’s Anti-Monopoly Law), a regional perspective (e.g. under European Union laws) or from an wider international or global perspective. Within a JV there should be a compliance programme which ensures that appropriate employees receive training, understand and comply with the relevant competition laws. In particular staff involved directly or indirectly with sales, marketing and procurement need to understand and manage the risks. These risks can arise from contacting and exchanging information with competitors, either when selling or when buying (e.g. procurement cartels). Competition risk does not simply apply to products, but also relates to services, technology and people (e.g. agreements among separate employing organisations not to exceed certain remuneration levels). 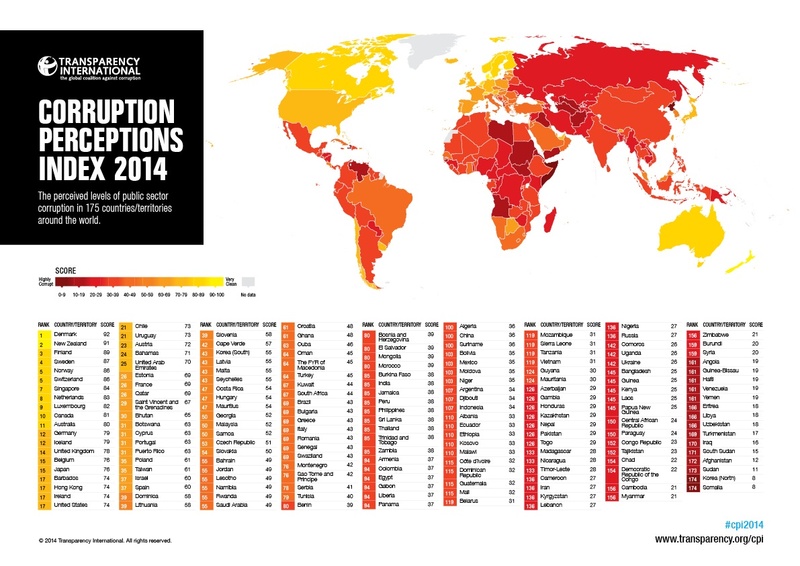 Risks related to bribery and corruption should be assessed from a global perspective. 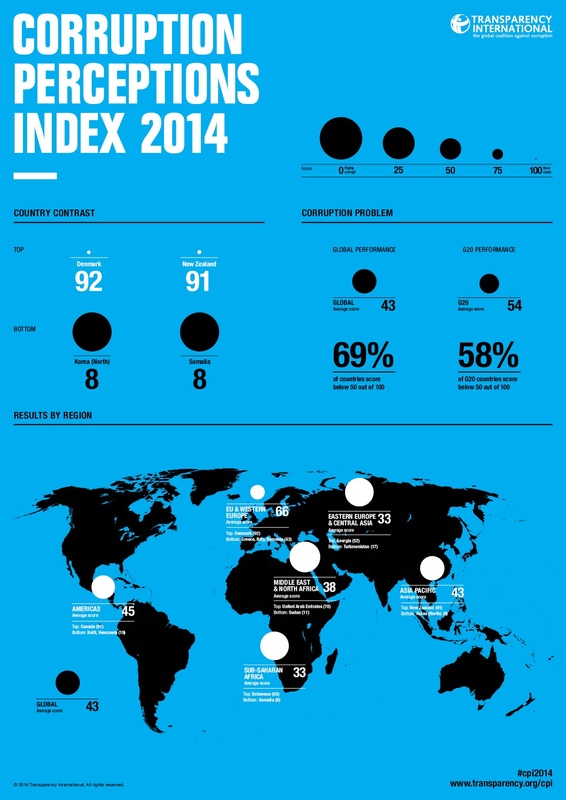 This is because national anti-corruption legislation often encompasses the international activities of companies and people falling under its jurisdiction. This means that a company may be liable in its home country for corrupt practices in its operations overseas. In addition a citizen of one country may be held to account in that country for their participation or suspected involvement in bribery/corrupt practices in another country. A partner in a JV may also be held to account for corrupt activities in the JV or even corruption on behalf of the JV by its other partners. The extent that a partner may be held liable usually reflects their perceived level of control over the JV activities. A 50% or greater share in a JV, membership of the Board of Directors or the right to nominate senior management may be taken to indicate that a partner has sufficient control over the JV. Shareholders with smaller participations will be expected to influence the JV to not participate in corrupt activities/bribery and they should be able to demonstrate they have done this (e.g. through insisting on appropriate compliance clauses/audit rights in JV formation agreements and documenting in board meeting minutes if they are not satisfied with anti-corruption measures taken by the JV). Many JVs are with partners who may directly or indirectly be associated with a government or political body. Some legislation, like the US Foreign Corrupt Practices Act (FCPA) and the UK Bribery Act, specifically deal with the potential for corrupt activities involving foreign government officials (or people associated with them). Although the US FCPA focuses on corrupt government officials the UK Bribery Act is broader in this regard and covers bribery involving any party. 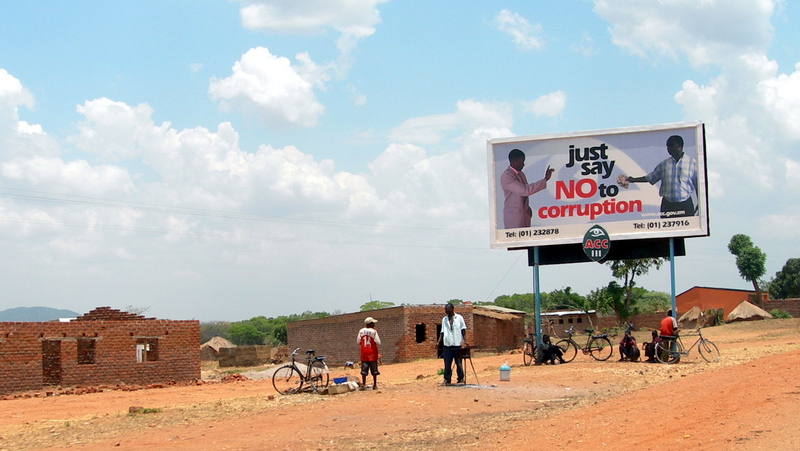 Both pieces of legislation are aimed at people and organisations involved in international corruption. Even facilitation payments like those ‘unofficially’ made to officials to encourage them to speedily expedite documentation or visa applications are illegal under the UK act (the US act has a narrow exemption for certain facilitating or expediting payments). Having spent quite a lot of time auditing these processes in the oil industry I hope to be able to expand this section at some stage in the future so please revisit this site. For those interested in learning more about the US FCPA here is a link to the official 2012 Department of Justice FCPA Guide which includes ‘hallmarks of effective compliance programmes‘ on page 57. The equivalent official Guidance for the UK 2010 Bribery Act including its ‘Six Principles’ can be obtained here. Appropriate legal guidance should be sought relating to any other authorities having jurisdiction over the JV or its partner organisations. Most JVs include a requirement in their formation agreements for regular independently audited statutory accounts. Generally these must be in accordance with local and/or international accounting standards. The selection of the organisation that prepares or audits the JV’s balance sheet and accounts is often a key issue. It is important that the body involved is truly independent and not even indirectly related to any of the partners. This may sometimes be a challenge if one of the partners is a government body. A further level of assurance available to the partners is via their own rights to audit the JV and its systems. Even when the JV produces independently audited accounts it is important to occasionally carry out risk based spot checks of various parts of the accounting systems which feed into the accounts. This is particularly relevant if the venture operates in an environment where corruption is known to be endemic. For example, due diligence of the processes used for supplier selection may uncover questionable practices. As with the section above on bribery and corruption there are some national laws, notably the US Foreign Corrupt Practices Act (FCPA), which can also have international ramifications. If one of the partners in a JV (or even the JV itself) has shares registered with the US Securities and Exchange Commission (SEC) the FCPA stipulates certain accounting and record keeping requirements. The company must make and keep books, records, and accounts, which in reasonable detail, accurately and fairly reflect the transactions and assets of that company. The recorded accountability for assets is compared with the existing assets at reasonable intervals, and appropriate action is taken about any differences. The inclusion of these rules in the FCPA was intended to prevent companies falsifying accounting records and deceiving auditors. The books and records referred to in the act include accounts, financial statements, ledgers, correspondence, memoranda, emails, tapes, discs, papers, books and other documents or transcribed information of any type (in ordinary, electronic or machine language). The liability of a partner in a JV for violations by that JV of the FCPA requirement to keep accurate books and records and maintain a system of internal controls will depend to a large extent on the partner’s stake in the JV and their level of control (see section above on bribery and corruption). As with all areas relating to legal risks expert legal guidance should be obtained with regard to JV compliance liability (this site is not qualified to provide such guidance). Regardless of what is stipulated in the laws relevant to a JV, whether they are domestic or international in nature, a partner’s own shareholders will expect that partner to ensure its subsidiaries and investments keep accurate books and records and maintain a system of internal controls. Many legal requirements serve simply to reinforce what good risk management should be doing in the first place. Some parts of the World do not permit you to do business with certain countries or people associated with those countries. As with all politically or security driven regulations this is a fluid situation and the names of the ‘sanctioned’ countries change from time to time. In addition some countries have anti-boycott legislation which is aimed at preventing enterprises from complying with boycotts required by other countries. The requirement to comply with such trade regulations depends upon where a person or a business is based. If the business is a JV this liability may also involve the partners – subject to their share in the venture or their level of control/influence over its activities. Even when a business, because of its location, does not come under the jurisdiction of a certain country’s trade restriction regulation its directors or employees may be liable based on their nationality, residency or presence in the country where the regulation exists. It is therefore essential to get professional legal advice regarding any liabilities faced by you, your employees or organisation with regard to trade regulations and sanctions. Serious penalties such as fines, revocation of permits to export, and imprisonment—can apply when these laws are broken. •Exports or re-exports to a sanctioned country. •Imports from, or dealings in property originating from, a sanctioned country. •Travel to or from a sanctioned country. •New investments and other dealings in a sanctioned country, including dealings with its government, nationals and entities organized under its laws, or with designated entities or individuals. Once you have identified, with your legal advisers, which trade regulations you need to comply with take a careful look at your business and operations to determine whether you are doing business with non-permitted partners. This business, in addition to dealings in physical products, can also involve technology and know- how. Sometimes simply visiting a sanctioned country may not be permitted. If you are travelling through a named country take care not to inadvertently carry non permitted items in your luggage (like sensitive files or software on a PC/iPad/phone – including encryption software). country, or entities (e.g., companies or vessels) that were blacklisted. Provision of information, including shipping documents/letters of credit, about past or current dealings or business relations with boycotted countries or parties or the absence of such dealings or relations. Discriminating in employment or assignment of citizens or residents on the basis of their race, religion or national origin, or providing information about such matters. As a rule of thumb any conduct that is responsive to a boycott request or requirement should be reviewed with legal advisers to check whether it is prohibited under applicable anti-boycott regulations. Money laundering occurs where individuals or entities try to conceal illicit funds or try to make it appear that these funds are from legitimate sources. Generally this will include handling the proceeds/benefits of any criminal conduct – this can include bribery and corruption (see above) and the funding of terrorism. As crime has become more global and high-tech in nature the methods of ‘laundering’ the proceeds/benefits of such crime have also become more sophisticated. Many established businesses will have come across anti-money laundering procedures – especially in relation to their dealings with providers of finance – where checks are in place to understand the ultimate sources and destinations of funds involved. The checks are aimed at trying to understand the nature of, and assess the potential risk of doing risk with, a counterparty. Likewise it is necessary for you as a business to perform appropriate due diligence on your own counterparties. These counterparties could be customers, suppliers or service parties. If you are the partner in a JV the counterparty could be your other partners in the JV and the JV itself (especially if you are buying into an established JV). (and here is the link to their website for more detailed information). You should familiarise yourself with the anti-money laundering laws of the jurisdiction where your business operates/is registered. This also applies to the jurisdiction pertaining to your JV investments. In addition to fines and imprisonment for wrongdoings associated with money laundering some legislation includes the offence of ‘tipping-off’ a potential transgressor. In such situations care is required to avoid informing a counterparty of your suspicions – the relevant legal authorities should be advised of your concerns and you must avoid impeding a formal investigation by tipping off the party being investigated. As with all legal compliance risks you should seek proper legal advise about the best way to proceed. Security Safeguards Principle: Personal data should be protected by reasonable security safeguards against such risks as loss or unauthorised access, destruction, use, modification or disclosure of data. Although the OECD principles were incorporated into EU law and endorsed by the US their inclusion in national legislations around the world is varied and therefore local legal expert advice should be sought for the location in which the businesses is involved. From a JV perspective data protection/privacy legislation is not only relevant to the data held by a JV (or its partners) but also the relevant legislation must be taken into account when that data crosses over international boundaries. More information can be found here (for the EU) and here (for the UK). The above section illustrates some aspects of Data Protection/Privacy legislation. This is a constantly evolving area and it is important to get the latest legal information relevant to the JV or its partners. As with all areas relating to legal risks expert legal guidance should be obtained with regard to JV compliance liability (this site is not qualified to provide such guidance). The JointVentureRisk.com website and its author, Chris Duggleby, are not qualified to provide legal advice and therefore any questions in relation to the legal liability of a joint venture or its partners should be addressed to suitably qualified, competent legal advisers.